Most women with cystic fibrosis (CF) can get pregnant. Some things may be different for a woman with CF during a pregnancy than for women without CF. Since pregnancy can have a big impact on your health, it’s important to work with your medical team and PLAN for a pregnancy when you are as healthy as possible. This will help ensure the best outcomes for you and your baby. What impacts a pregnancy when you have CF? There are a few things your CF team will consider when thinking about how a pregnancy could impact your health. In a perfect world, your forced expiratory volume (FEV1) should be 50% or higher before pregnancy. The risk of complications is higher with a lower FEV1. Your nutritional status must be good enough to support you and a growing baby. It is recommended that your body mass index (BMI), or the ratio of your weight and height, is at least 22 kg/m2 before pregnancy. The formula to measure your BMI is: Weight (in pounds) x 703 divided by Height (in inches) squared. If you have a lower BMI, your baby may not grow as expected and may be born early. Talk with your CF team to find out your BMI and your nutritional status. Having diabetes during pregnancy may lead to more health problems. It’s important that your blood sugar is well-controlled and stable before you become pregnant. If you take insulin, your doses may change during pregnancy. Liver disease can cause additional problems during pregnancy. It is very important to talk with your CF team if you have liver disease or cirrhosis. It is possible to become pregnant after a lung transplant. However, pregnancy after lung transplant has more health risks, including possible rejection, worsening lung function, poorly controlled blood pressure, and development of diabetes. Your baby may not grow well and may be born earlier than expected. Some transplant medications are dangerous to take when you are pregnant. Getting pregnant is not recommended within the first 2 to 3 years after transplant. 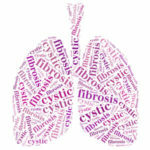 If you are thinking about pregnancy and have had or might be a candidate for a lung transplant, talk with your CF team. Are there common complications that women with CF experience when pregnant? Yes, women with CF can experience a few common complications during pregnancy. It is important to talk with your CF care team and your obstetrician frequently during pregnancy to make sure that you and your baby have the best outcomes possible. Your CF team and your obstetrician should also work together to understand how your pregnancy is affecting your CF and vice versa. You may benefit from seeing an obstetrician familiar with CF, or one trained in high-risk obstetrics or maternal-fetal medicine (MFM). Pulmonary exacerbations– Women with CF have been shown to experience more CF exacerbations during pregnancy. Your CF team will review the medications that you have been prescribed to treat your exacerbations in the past. Since many antibiotics are not safe to take during pregnancy, the antibiotics you are prescribed may change. It’s important to work with your CF team to continue your daily therapies. Preterm or premature delivery– Some women with CF may deliver their baby early. A preterm or premature delivery is a birth that takes place more than 3 weeks before a baby is due. Babies born early are often small and have a low birth weight, have heart problems, gastrointestinal issues, breathing problems, and feeding difficulties. Depending on how early a baby is born, they may have to spend time in the neonatal intensive care unit (NICU). Gestational diabetes– This is a type of diabetes that a mom develops during pregnancy and usually improves after she gives birth. Women with CF (who do not have CF- related diabetes) are at a higher risk of developing gestational diabetes than women without CF. Nutritional deficiency– A woman should gain about 25 to 35 pounds during pregnancy. Since many women with CF struggle with maintaining their BMI, it may be more difficult to gain enough weight during pregnancy. Women with CF can consider nutritional supplements during pregnancy in order to gain the right amount of weight. Prenatal vitamins and folic acid should be started before conception and taken throughout her pregnancy. Constipation– Almost all women experience some constipation during pregnancy. Women with CF have a higher risk of having constipation while they are pregnant. This can be treated using stool softeners and/or laxatives. Talk with your obstetrician about which medications you can use when you are pregnant. Hypertension– Women with CF have a higher risk of hypertension (high blood pressure) during pregnancy. If you become pregnant, your CF team and your obstetrician will monitor your blood pressure closely. Hypertension during pregnancy can be treated with different types of medications. What CF medications are dangerous to take during pregnancy? If you are taking any of these medications and are pregnant or thinking about becoming pregnant, talk with your CF team right away! The effects of ivacaftor (Kalydeco) and ivacaftor/lumacaftor (Orkambi) when used during pregnancy are not known. Tell your CF team if you are taking these medications and are pregnant or thinking about becoming pregnant. What if I’m having trouble getting pregnant? Fertility issues can happen for many reasons. If you and your partner have been trying to get pregnant for a while, your CF team can refer you to a fertility specialist. Fertility testing is usually done after a couple has been trying to get pregnant for about a year. Addressing fertility is the same for women with CF as for women without CF. There are different types of assisted reproduction technologies that are available for women to pursue, such as fertility medications, in-vitro fertilization (IVF), and surrogacy. Fertility medications stimulate ovaries to release eggs. Sometimes, these medications can cause ovarian hyper-stimulation syndrome, which can cause you to have difficulty breathing. Your fertility specialist and CF team should monitor you closely when you are taking fertility medications. Intrauterine insemination (IUI) is when sperm is placed directly inside of a woman’s uterus. It is done to increase the number of sperm reaching the egg and increase the chance of pregnancy. In-vitro fertilization (IVF) is when sperm and eggs are retrieved from a man and woman and fertilized outside of a woman’s body. Fertilized eggs (embryos) are then implanted into the uterus with the hope of pregnancy. IVF can be a good option for women with CF whose partners have been found to be carriers of CF as fertilized eggs that do not have CF gene mutations can be selected for implantation. With IVF, more than one embryo can be implanted resulting in multiple pregnancies (twins or triplets). Women with CF interested in IVF should talk with their IVF team about transferring just one embryo to reduce the chance of a multiple (high risk) pregnancy and the added stress of caring for more than one baby. Surrogacy is when another woman carries a pregnancy for a couple. A surrogate pregnancy can be done using IVF, in which case the baby is genetically related to the mom and the dad, but not the surrogate. Donor eggs or sperm can also be used. Laws around surrogacy vary in different states, so it’s important to check the laws in your home state if you are interested. Women with CF can safely breastfeed their babies. However, there are some considerations for women with CF when deciding whether or how long to breastfeed. Breastfeeding uses up many calories and if you are struggling with weight gain, it may be in your best interest not to breastfeed. You will need to work with your CF team to make sure you are maintaining a healthy weight. Your CF team will also let you know which of your medications may be unsafe if you are planning on breastfeeding. Tell your CF team as soon as you think you may be pregnant since pregnancy can have a big impact on your health. If you think you may want to become pregnant in the future, talk with your CF team about your health, and how you can plan a pregnancy when you are at your healthiest. If you and your partner have been trying to get pregnant for a while and haven’t had success, speak with your care team about possibly being referred to a fertility specialist. There is a lot of information to consider when you have CF and are deciding whether a pregnancy is right for you. You can print out this guide or have your provider refer to the webpage during your visit.